To build her career, UC Davis senior Maria Muñoz will soon trade her graduation cap and gown for a hard hat and work boots. The center also continues to offer regular workshops, individual counseling appointments and drop-in advising. The civil engineering major starts work later this month as a field engineer with a general contractor and is among the Class of 2015 members launching their careers in a now healthier job market. Marcie Kirk Holland, director of the Internship and Career Center at UC Davis, says this year students are receiving job offers earlier than in the recent past — some have received multiple offers, and the others still have bright prospects. 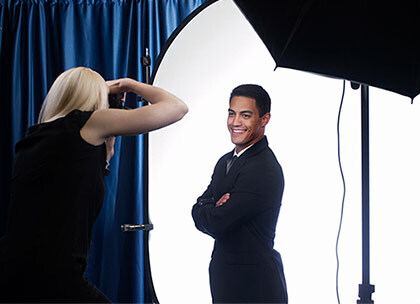 Those observations of an improving market for new graduates are backed up by a national survey. The National Association of Colleges and Employers reported this spring that employers expect to hire 9.6 percent more new college graduates this year than they did last year. The economy has been cooperating. UC Davis had had an upswing in the number of employers attending internship and career fairs and a 20 percent increase in internship and career postings to its online job service. But Kirk Holland says the graduating class also entered with realistic expectations and have worked hard to make themselves more marketable and find jobs. And the Internship and Career Center has stepped up its services too. Muñoz made the most of what was available to help her. She attended career fairs and got advice on her resume from the Internship and Career Center. But she also volunteered with the engineering department of her hometown of Dixon, California, and participated in professional development opportunities through student and professional engineering organizations. As the first in her family to earn a university degree, Muñoz says she needed help not only taking the steps to get into university, but also embarking on her career. “Getting confident and learning how to network and how to communicate — it helped a lot,” Muñoz says. 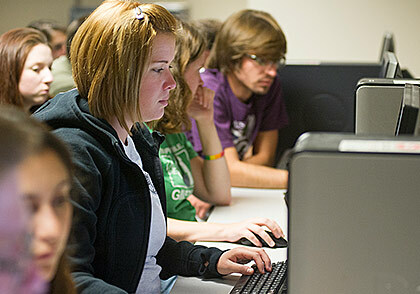 The Data Studies Program launches this summer with three courses for liberal arts majors. Students will adapt skills to build a bridge between liberal arts and the business world, learning how to think about and work with data. The Internship and Career Center has introduced a number of initiatives to enhance its services, engage the campus more broadly and help connect students and employers. For example, center staff and Union Pacific Railroad recruiters realized that employees of the student-run Unitrans bus service had skills that were a good match for the railroad’s management training program. So a meet and greet was arranged for Unitrans employees and Union Pacific recruiters. “A lot of their Unitrans experience and safety consciousness relates to the railroad,” says Elizabeth Lewis, senior recruitment manager for the railroad in Roseville. This spring Union Pacific has already hired four students graduating from UC Davis and was recruiting for more on campus in late May. The center hosted LinkedIn, the online professional networking site, for an event to help students enhance their interview skills and online profiles — the first such event for LinkedIn on a university campus. A pilot program with the College of Engineering offers an alternative for professors who have to miss a class. Instead of canceling the class, they can book one of several presentations on internship and job search skills for engineering students. Internship and career counselors hold office hours at the College of Biological Sciences. To leverage on-campus work experience for students, the center is also offering training for those who supervise student employees so they can better mentor them. Receptions on the eve of internship and career fairs help recruiters and faculty to share with each other what students are learning and what career opportunities await them. In another new program, the College of Letters and Science is introducing a Data Studies Program this summer to help students build a bridge between liberal arts and the business world.